For more than 40 years, Captain Arnold has been an active US Coast Guard Licensed Captain. 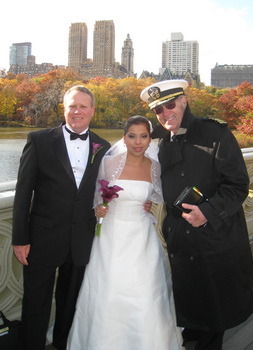 He is also the “only” Captain who is an “Ordained Chaplain” that is registered with the City of New York as an official Wedding Officiant. 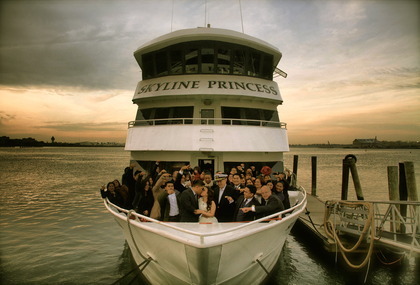 Captain Arnold offers beautiful, unique and memorable Wedding Ceremonies on land or at sea, aboard the vessel of your choice or at the waterside restaurant, catering hall or other land reception facility of your choice. His “Ceremony of Love” has been heard and streamed “live” around the world from Times Square, “the crossroads of the world” and he has been chosen to perform his ceremony at the “Wedding of the Year” special event for the prestigious and ever popular LIWeddings.com. He has received rave reviews on The Knot, The Wedding wire and has performed the first ever "2-minute flash wedding" on Good Morning America. He has been interviewed by the New York Time and that now appears on the NYT video website (A Marriage at Sea? Get Me Rewrite). While his specialty is “Non-Denominational” and “Interfaith Marriages,” he also performs many “second marriages” and “anniversary celebrations” with “Reaffirmation of Vows.” He will assist you in personalizing your vows to highlight your sentiments and emotions for this most important day. 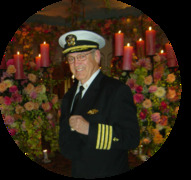 The Captain is available to answer your questions 24/7 and to assist you with every phase of your wedding ceremony so that it will indeed be “a wedding ceremony to remember.” While visiting his website, be sure to read the accolades of praise he has received from couples that have experienced the Captain’s beautiful ceremony. 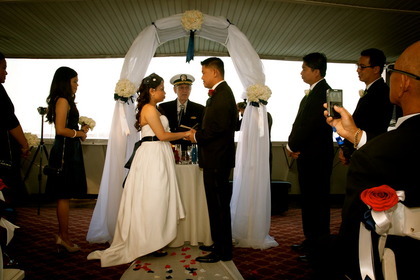 Your search for a Wedding Officiant will be over – Guaranteed! Captain Arnold was a big hit at our wedding. Family and friends enjoyed what he had to say. 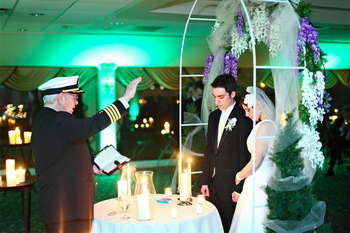 We did not want a traditional wedding ceremony especially since it was at the venue, so Captain Arnold did just fine.